The Aghbaha Uybulaq Pass is about 45 km from the Kyrgyz-Tajik border and about 8 km from the Karakul Lake. 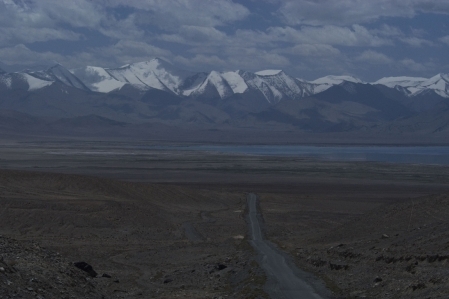 The Aghbaha Uybulaq Pass is part of the M41 Pamir Highway. From the pass you have a giant view over the Karakul lake. 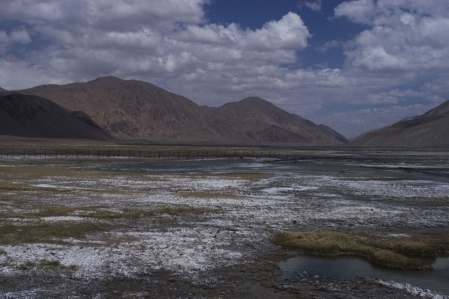 In high Pamir there are no trees. 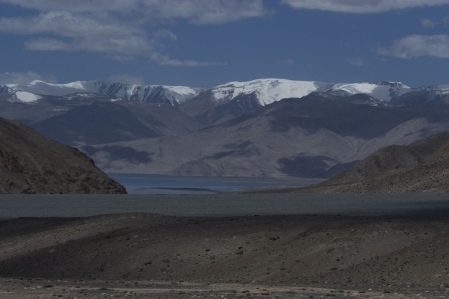 The Karakul Lake is surrounded by snow and ice-covered mountains. During the day when the Sun is shining the temperatures are still quite pleasant. In the night, double-digit minus temperatures can occur. On Karakul Lake there is a small village with the same name, Karakul. In this village almost 100% of Kyrgyz people live there. There is also a small garrison of the border guard. Those responsible for the borders to China and Kyrgyzstan are responsible. At this altitude almost exclusively sheep and yak cattle are bred. 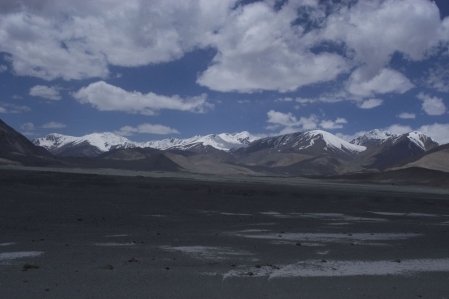 Up here, there are wolves, lynxes, snow leopards, Ibex and Marco-polo sheep (giant wild sheep or Argali). Depending on snow conditions short-term winter locks are possible.